Corpus Christi Garage Door Repair services Kingsville, TX and the surrounding communities for all their garage door repair and installation needs for both residential and commercial customers. Replacing a garage door is usually something best left to our team of professionals, especially since it involves a lot of moving and hinged parts. But what kind of door is best for you? As a homeowner or business owner, you can help yourself out, and possibly save some money, by answering a few questions before your garage door gets replaced. First, think about how much you can spend. The more you are willing to spend on a garage door, the more you will get out of it. Garage doors do not have to be wildly expensive, and they can do the job for years, but you need to decide what kind of price you would be comfortable spending on the door, and the installer. Also consider what type of overhead door style you are interested in. 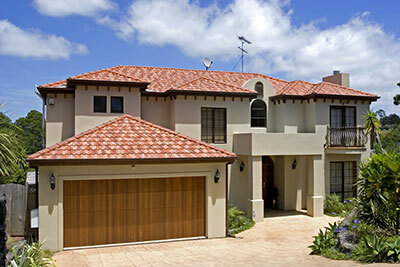 There are several different styles and models you can get for a garage door. If you want no design, you can get just a plain, segmented one, but some have elaborate designs stamped into the material. Whatever type of material you choose, like steel for example, the price will vary according to the thickness and to the type of insulation in the door. The same goes for the wooden doors where it is the essence of the wood that will greatly vary the price. Glass garage doors, and full-vision sections are the most expensive doors because of the amount of glazing on the door model. 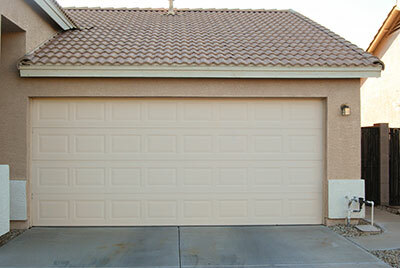 Moving forward, you should think about if you would like windows installed in your garage door. Windows are a nice addition to garage doors in order to let natural light in, and to make the door look a little more sophisticated. However, windows are a major structural weak spot. If you live in a storm-prone area, especially around trees, you may want to pass on windows. Along with windows, color can be another nice addition. Knowing the color of the door before it is installed can give a paint specialist time to buy the paint beforehand and apply it in his workshop. This saves them time, which will end up saving you money. When it comes to more technicians features, think about a battery backup option for your opener. If the power goes out, it can be difficult, if not nearly impossible, to use your garage door. With a battery backup, you can open and close the door, even if the power goes out, and it recharges when the power is back on. In the end, if you’re looking for a reputable company that will help you select the right door for your needs, as well as install it properly, look no further than Corpus Christi Garage Door Repair. We can answer all of your questions regarding new installations, replacements and repairs. You can count on our team for all of your garage door service needs in Kingsville, TX.